Come out on January 21st to pay tribute to Dr. Martin Luther King Jr. This year the theme is ‘Walking for Peace and Justice’. 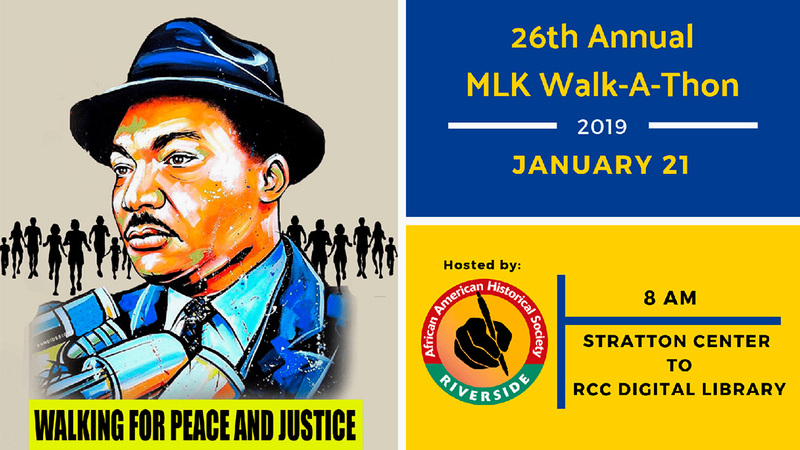 The 5K walk will start at Stratton Center and end at the RCC Digital Library with a stop at the Martin Luther King Jr. statue on Main Street. Free shuttle services back to Stratton Center will be available every half hour beginning at 11 am. After the walk stay for a short program (honoring local honorees), booths, entertainment, performances and a contest for the organization with the most number of walkers.